Home / Bitcoin / blockchain / cryptocurrency / Ethereum / future technology / latest technology trends / Litecoin / modern technology / Ripple / technological advances / technology / What is Cryptocurrency and How Does It Work?- Why Do We Use Cryptocurrencies? What is Cryptocurrency and How Does It Work?- Why Do We Use Cryptocurrencies? A cryptocurrency is a decentralized digital currency, and an encrypted digital asset designed to work as a medium of exchange confirmed in a public ledger via a process known as mining and transferred between peers. 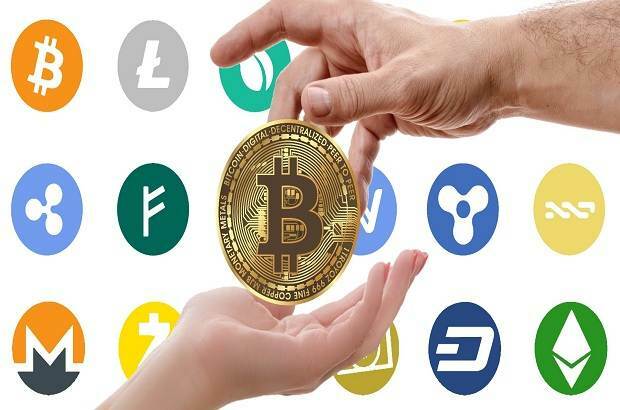 The cryptocurrency uses strong cryptography to secure financial transactions, verify the transfer of assets and control the creation of additional units. What is Cryptocurrency and How Does It Work? Why Do We Use Cryptocurrencies? A cryptocurrency is a form of digital money that is designed to be safe. In many cases, the cryptocurrency is unknown. This currency is linked to the Internet that uses encryption, the process of converting readable information into an almost non-traceable code, to track purchases and transfers. Cryptocurrencies are created through a process called mining, involving the use of computer power to solve complex math problems that generate money. Users can also buy currencies from intermediaries, then store them and spend them using encryption portfolios. Cryptocurrency and Blockchain technological applications are still financially viable and expect to have more uses, and can ultimately trade transactions including bonds, stocks and other financial assets using technology. Cryptography was born from the need for safe communication in World War II and evolved into a digital age with elements of mathematical theory and computer science to become a means of securing communication, information, and money on the Internet. The first cryptocurrency is Bitcoin, which was created in 2009 and is still the most famous and has been proliferated through hidden operations in the last decade. There are now more than 900 currencies available on the Internet. So what is the Bitcoin? Here's all you need to know about Bitcoin cryptocurrency. Cryptocurrency uses decentralized technology to allow users to make secure payments and store money without the need to use their name or through the bank. It operates on a distributed general ledger called Blockchain, a record of all transactions that have been updated and held from the currency holders. Bitcoin is a digital currency used to pay any value without fees. It works on the Blockchain, a decentralized ledger that was run by the "miners" until they were crushed by powerful computer owners and stuffed with bitcoins. Satoshi Nakamoto, a world's most elusive billionaire, who invented the Bitcoin in 2008 before going online in 2009, has made numerous attempts to determine who Satoshi is without conclusive evidence. What was the most compelling purpose for Bitcoin? People see value for money free of control, government fees and bank fees In addition to the Qin Block, to verify transactions, Bitcoin has been seen as a tool for private transactions, anonymous, and unfortunately, they are the option to pay drug contracts and other illegal procurement. Bitcoin: Bitcoin was the first cryptocurrency and the most heavily traded so far. The coin was developed by Satoshi Nakamoto in 2009, a mysterious character developed by Blockchain, with a market capitalization of about US $ 45 billion as of July 2017. According to CoinDeskIn, in November 2017, 1 Bitcoin value was about $5,800. The 2018 Bitcoin crash comes half a year after the value of many has risen. At its peak last December, the Bitcoin traded as high as $ 19,783.In April 2019, its worth is about $ 5068.50. Ethereum: Ethereum was developed in 2015, Ethereum is the currency symbol used in the Ethereum Blockchain, which is the second cryptocurrency after the most popular and most valuable Bitcoin. Ethereum has a market value of about 18 billion US dollars as of July 2017, After splitting for two currencies in 2016 and falling to 10 cents after they were $ 400. In April 2019, 1 ETH is equal to $162.8. Ripple (payment protocol): Ripple is the last currency of a distributed ledger system. The currency was established in 2012, and the index can be used to track many types of transactions, not only as a cryptocurrency, and has been used by banks including Santander bank and OBC Net Banking. The currency has a market value of about 6.3 billion US dollars. Litecoin: This currency is most similar to the form of Bitcoin, but this currency moved more quickly to develop new innovations, including payments and faster operations to allow for many transactions, the total value of the currency of Litecoin is about 2.1 billion US dollars. In April 2019, 1 Litecoin is worth $78.5. Cryptocurrencies are known to be safe and provide a level of anonymity. Transactions cannot be falsified or reversed, and fees are low, making them more reliable than conventional currency. Their decentralized nature means that they are available to all. Banks can be exclusive in those who are allowed to open accounts. As a new form of criticism, it has become known that cryptocurrency markets have been launched, which means that a small investment can become a large sum after overnight. Conversely, people believe that investment in Cryptocurrencies should be aware of market volatility and that risks must be taken into account when purchasing. Cryptocurrencies due to the level of anonymity are often associated with illegal activities, especially on the dark side of the Internet, so users should be cautious when dealing with meanings and indications when buying currencies.